These lights could be from any town anywhere in the UK. I really hope the lovely strings of Christmas bulbs are back up and running next year. I wonder what would have happened if Skanska had not won the contract to update all the street lamps. Would we have no Christmas lights, or would someone have found a way to repair the existing ones? 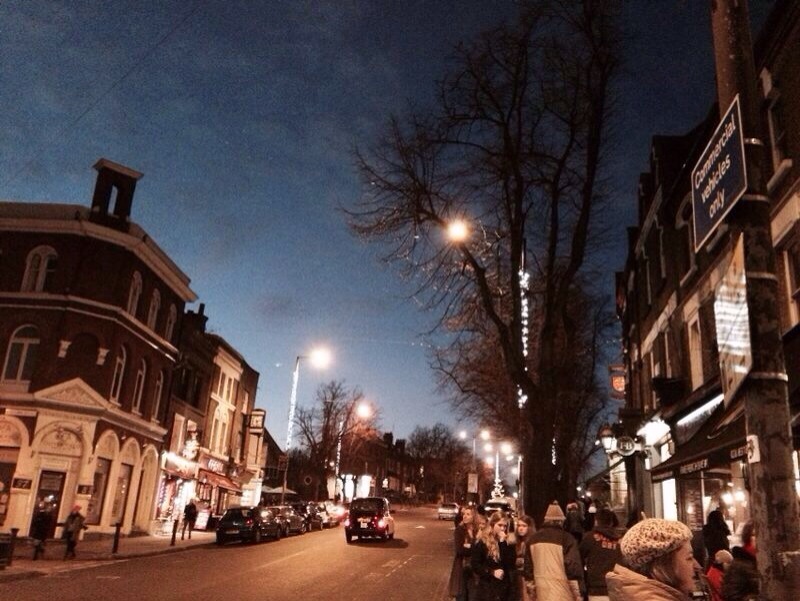 Blackheath’s Christmas lights will be switched on at 4.30pm today. Father Nicholas Cranfield of All Saint’s Church, the Mayor of Greenwich Councillor Jim Gillman, and the Deputy Mayor of Lewisham Alan Smith will do the switching on. The Salvation Army will play live music from 3pm. There’s also a children’s funfair on the heath near All Saint’s Church all weekend. Flashing photo above is from 2008’s event! 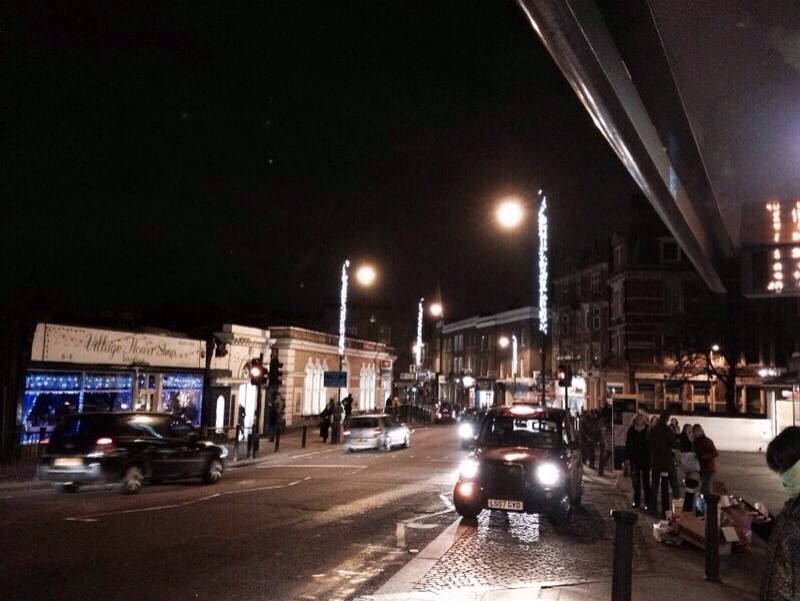 After the testing a couple of weeks back, and two countdowns, the Blackheath Christmas Lights are finally on. Not Nick Ferrari this time – someone called Kevin who I didn’t recognise (although apparently he’s famous?) Kevin Bridges, and a fairly gloomy theological analysis from Father Nick, the Christmas Lights finally switched on. It’s amazing how many people show up in the village to watch some bulbs (LEDs) switch on. In this age of high definition 3D entertainment, you’d think it would get overlooked (Mrs Bugle says it’s a very European phenomenon). Anyway, they look lovely. The lights over the chipshop parade seemed to be forgotten about, but came on shortly afterwards. The (rather blurry) photos show before and after, but aren’t taken from exactly the same perspective, unfortunately. The Salvation Army were also parping away in a jolly fashion – audio is below. Audio mp3 of the Salvation Army playing God Rest Ye Merry Gentleman. The Christmas lights are back. Last year it was December the 5th, so not sure why so early. But they make Blackheath look amazing. Give them money. And look at this. Stunning. By Andy Williams, spotted by Adam Bienkov.